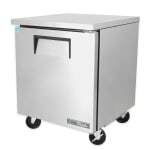 The True TUC-27-HC undercounter refrigerator has a single door with a 12-inch recessed handle. Cold air leaks are prevented since it comes with a magnetic gasket. When the door is opened past 90 degrees, it stays open for loading and unloading product easily. Cleaning the interior is simple with coved corners in the stainless steel floor. The rest of the interior is coated in a clear aluminum liner. Its exterior is constructed of stainless steel and GalFan-coated steel for strength and durability. 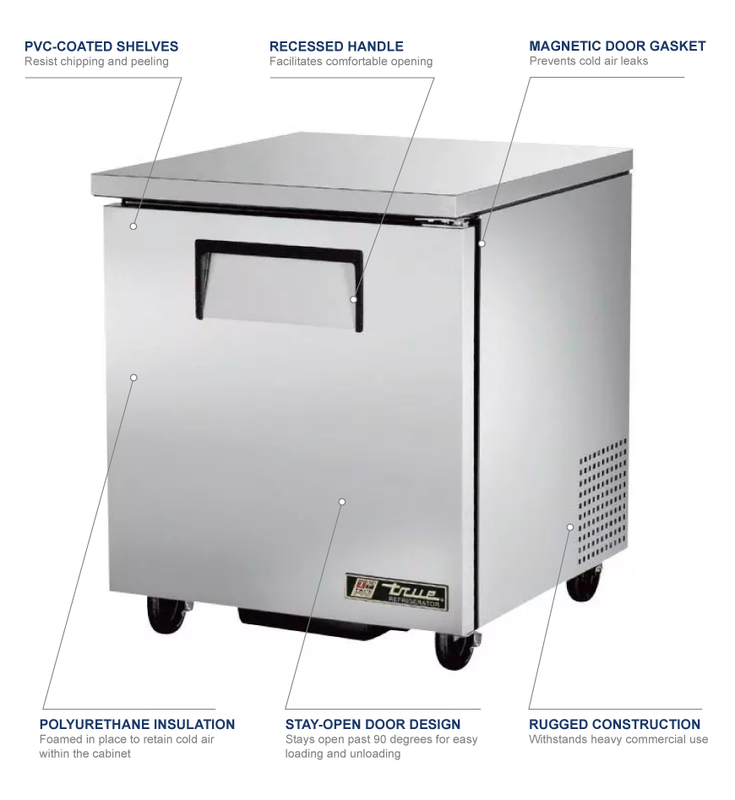 The refrigeration system is accessible from the rear. To keep the interior cool, this unit uses R290 hydrocarbon refrigerant in its capillary tube system. Its evaporator is protected from damage with its epoxy coating. The evaporator and condenser motors are built to move a consistent amount of air to ensure temperatures stay even throughout the cabinet. 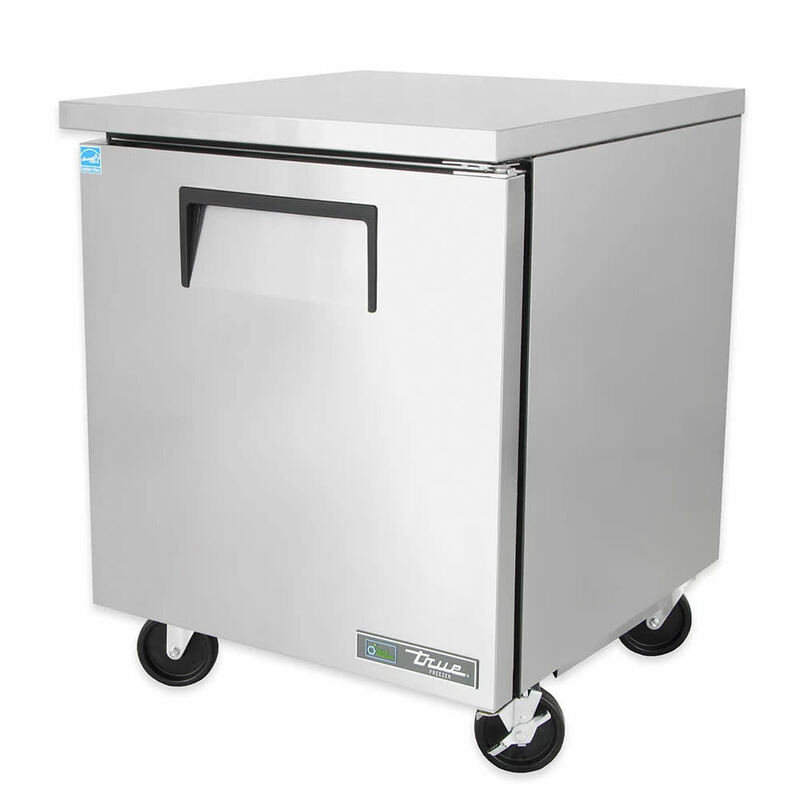 The True TUC-27-HC undercounter refrigerator has a temperature range of 33 to 38 degrees Fahrenheit. Not sure what kind of undercounter refrigerator you need? Take a look at our undercounter refrigerator buyers' guide for additional information.